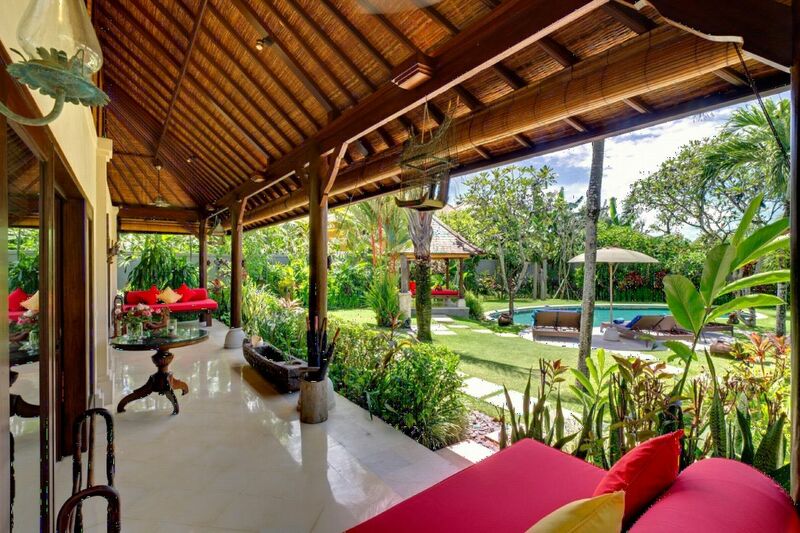 Away from the crowd, Villa Kakatua offers you a quietness stay whereas the Villa is ideally located a few meters away from the Canggu beach on Bali’s southwest coast. 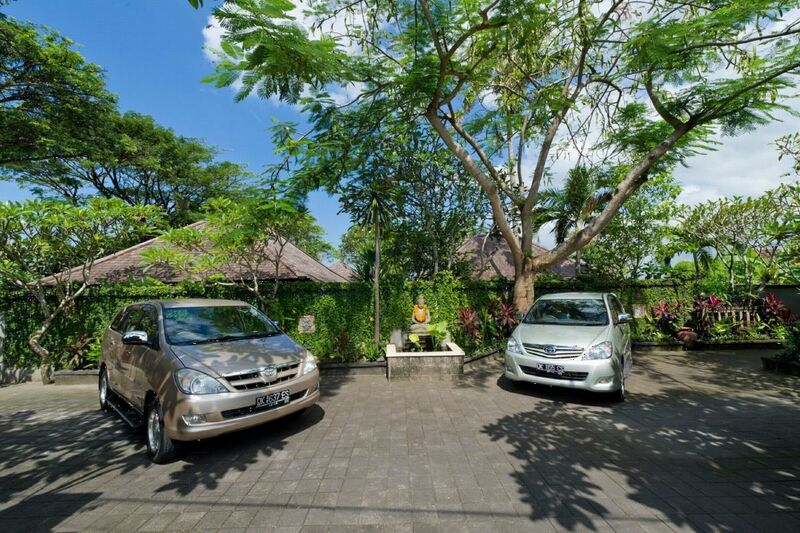 In fact, it is only 13km from the delightful city of Seminyak and 20km from Denpasar airport. 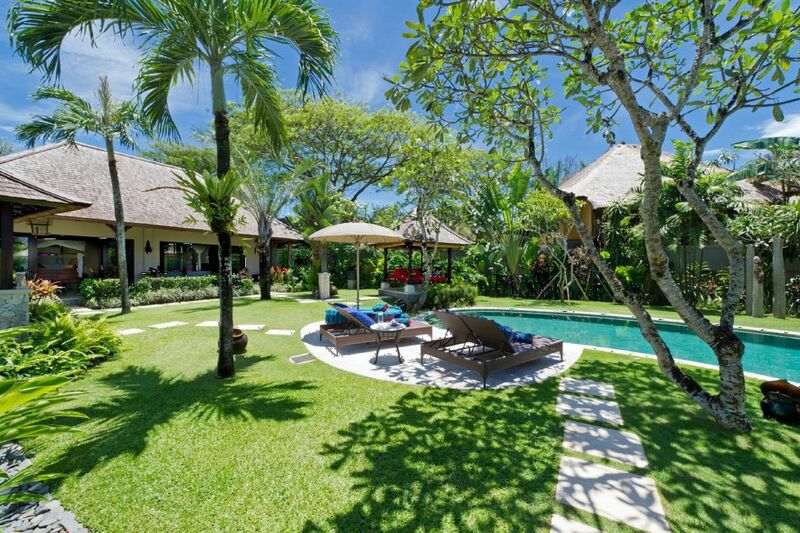 Would you like to relax in the pool, go surfing one step away from the Villa or take a walk in the paddy field… It will not be long to succumb to this little paradise, I assure you! 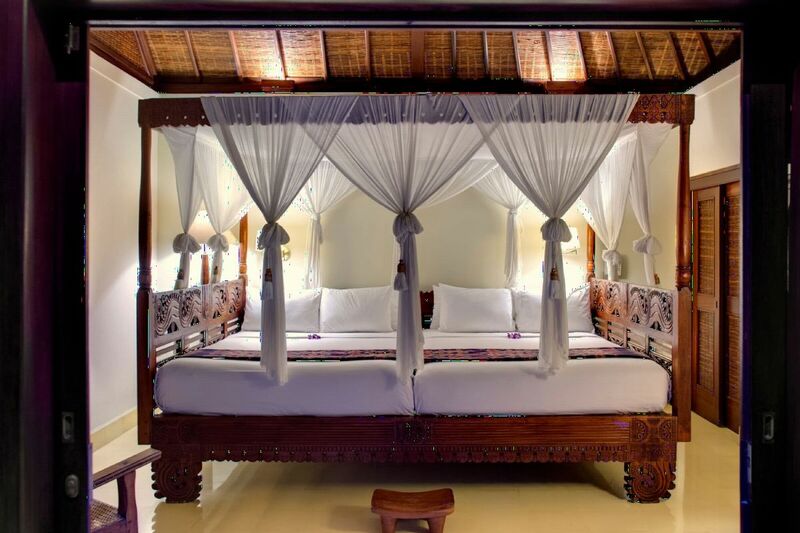 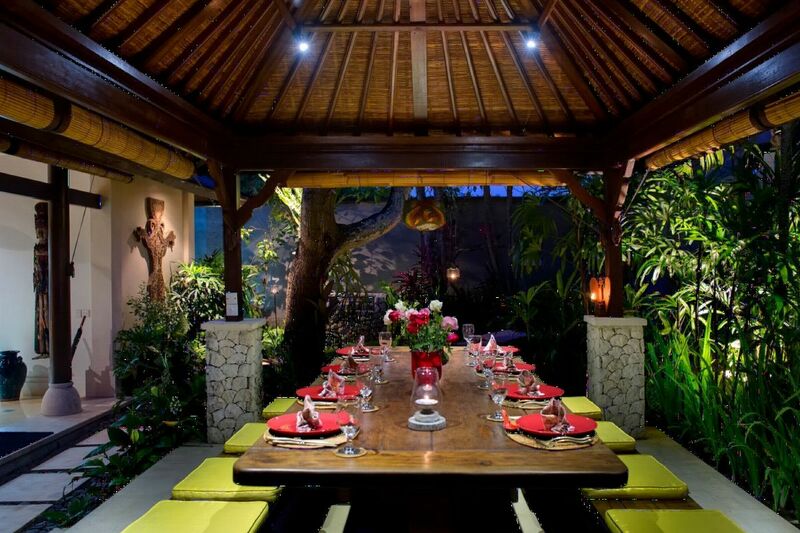 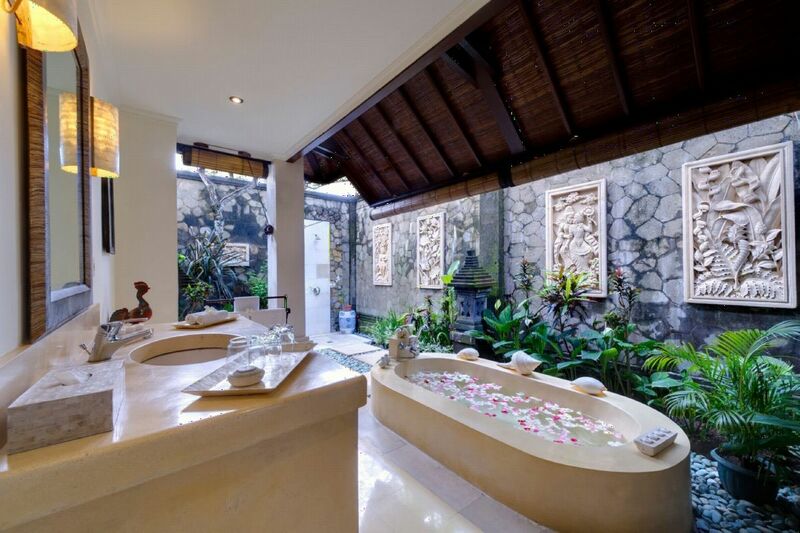 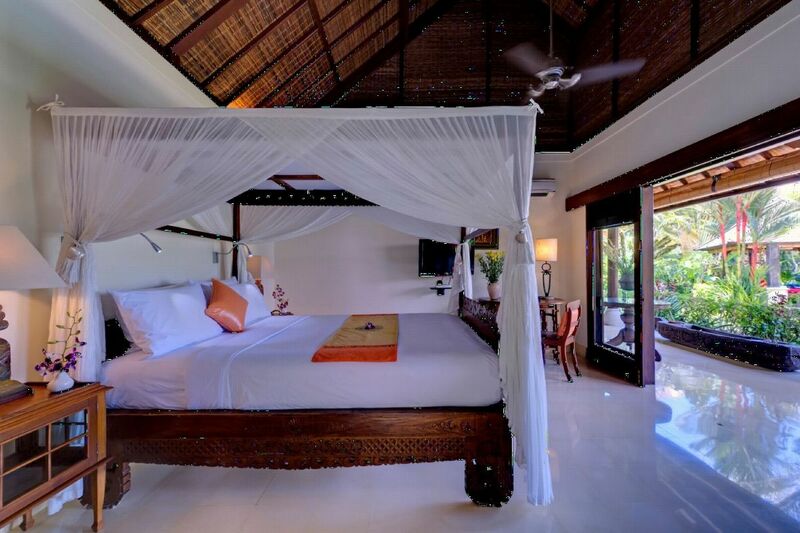 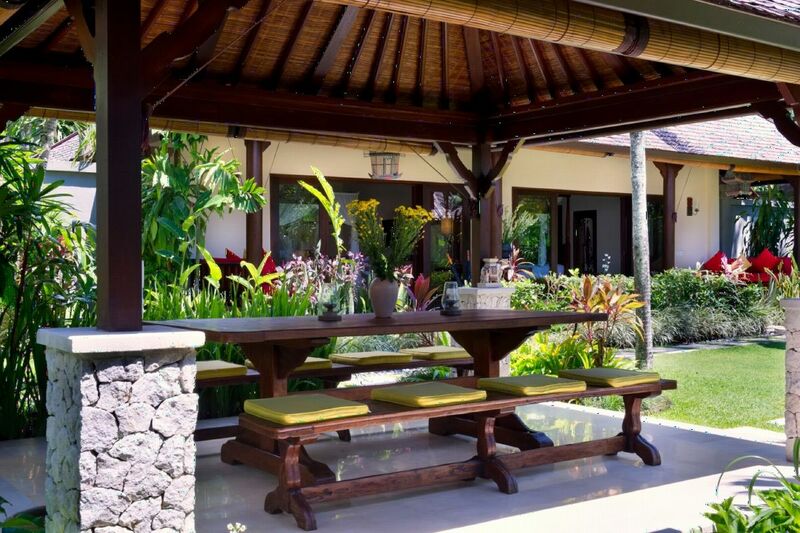 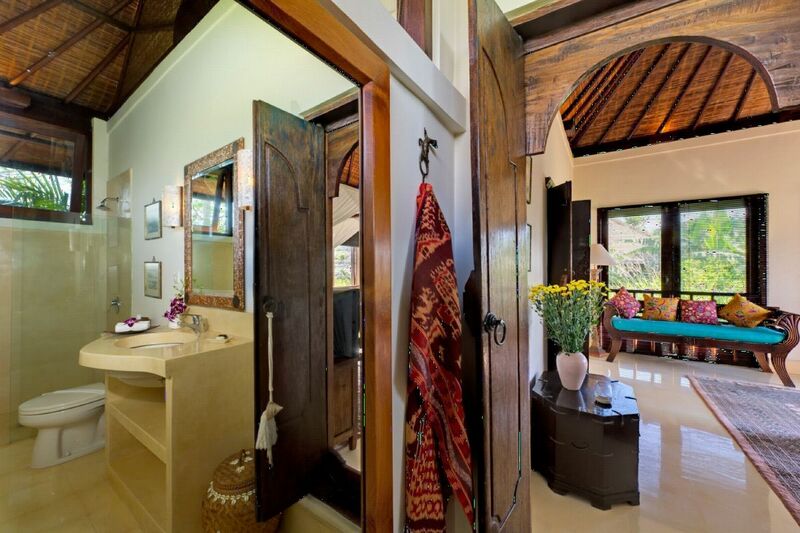 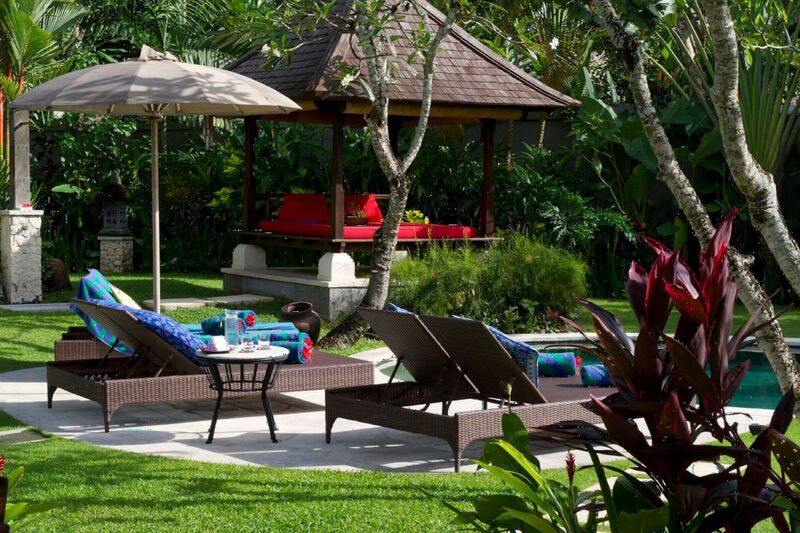 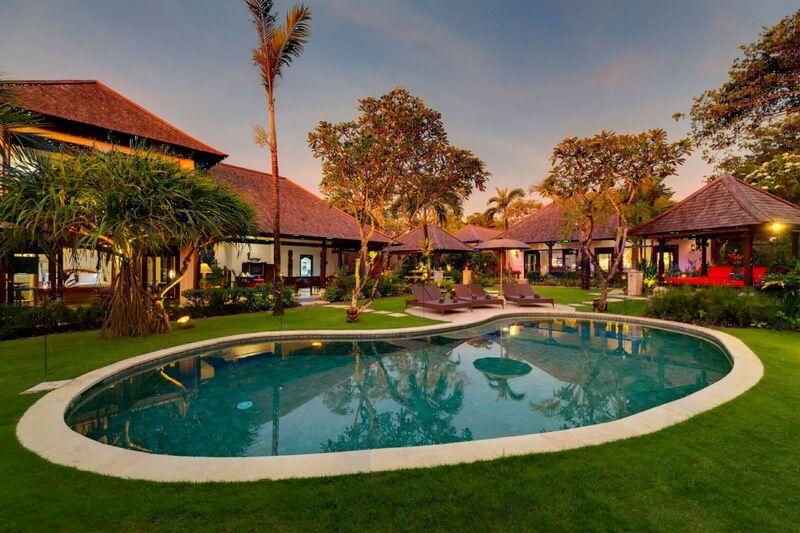 Villa Kakatua is the epitome of classical Balinese style. 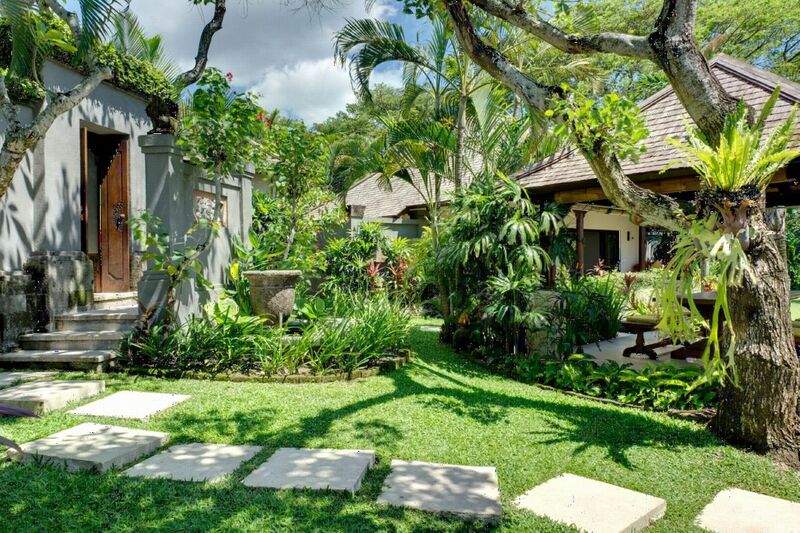 With its wooden pillars, high ceilings, bathrooms open onto the garden and swimming pool surrounded by a multitude of exotic plants and birds ... you will pause all your habits. 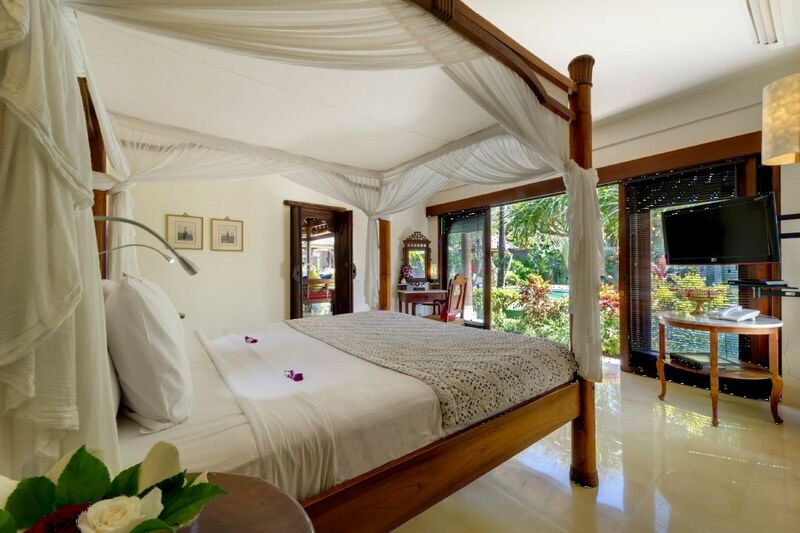 The four rooms of the Kakatua Villa offer a splendid view over the pool; the main two-storey house has two bedrooms, a living-room and a kitchen. 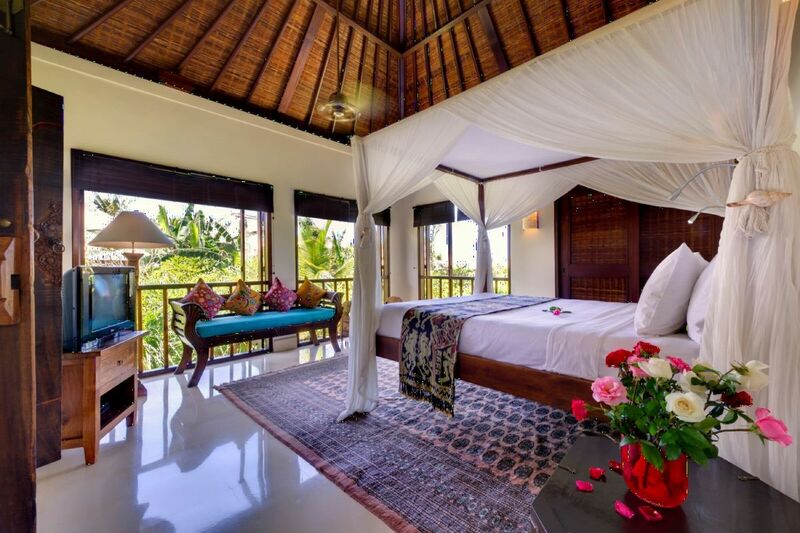 On the other side of the Bale, you will find the second pavilion with two quiet bedrooms. 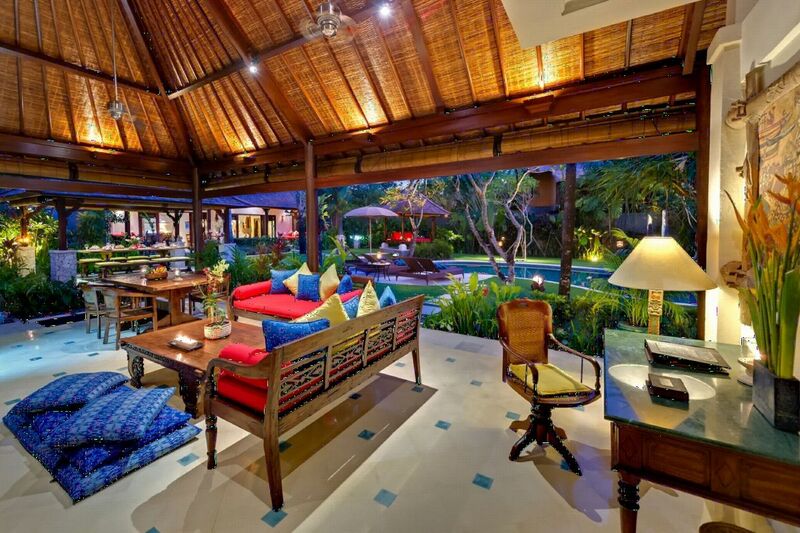 This villa is the perfect destination for families or groups of friends looking for a holiday in style. 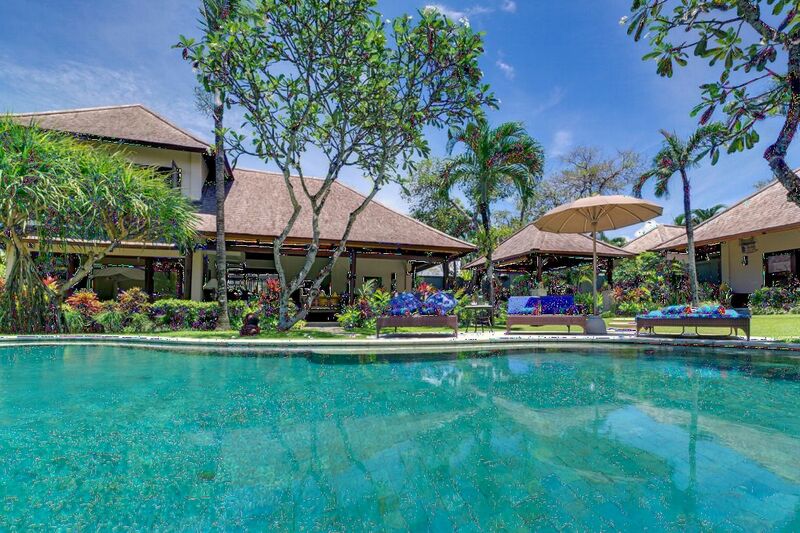 to pool fencing and swimming aids.